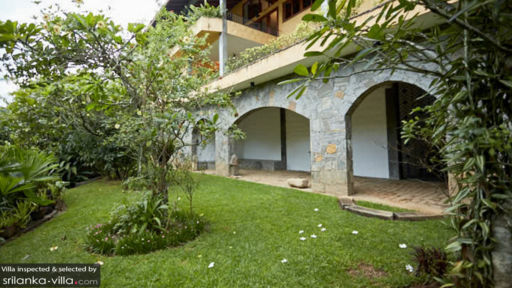 Set amidst scenic mountains, lakes, and a beautiful garden, three-bedroom Bamboo Villa Kandy is located in Digana as part of the Victoria Golf and Country Club, just 16 km from Kandy, Sri Lanka. Offering breathtaking views of the mountains across the lake, the rustic elegance of the villa is found even in its interiors. 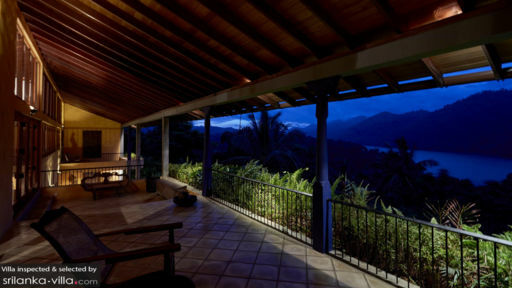 Perfect for couples looking for an intimate getaway as well as families, the villa comes highly recommended for its service, serene ambiance, and excellent hiking options around the property! Get set for the adventure of a lifetime in Digana, surrounded by luscious forests, sparkling lakes, and a calm in the air. There are three beautiful bedrooms at Bamboo Villa, each of them adjoined to a private balcony that is furnished with comfortable chairs to make it easier for you to enjoy the vista. The bedrooms are spacious and furnished with double beds for your ease and to make sure you have a good night’s rest! Enjoy a relaxing day indoors reading, idling away, watching the sky change colours, and breathing in the fresh air of Sri Lanka! 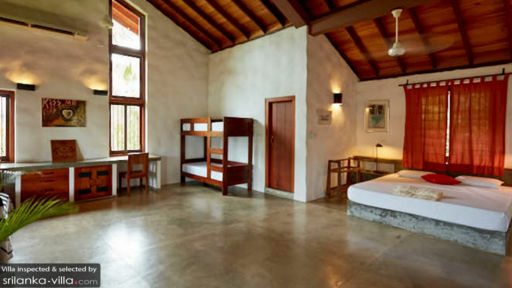 Each bedroom even has an en-suite bathroom with showers and other amenities. With stunning panoramas being offered regularly, there is so much you can breathe in by simply lounging on the patio or balcony which has chairs for guests. Enjoy a piping hot cup of tea or coffee early in the morning while gazing endlessly at the flora while the birds chirp happily. There are stone steps leading to the tropical gardens, and you can hike to a nearby lake with assistance as well. Nature is bounteous in this particular region, making this a favourite among tourists! Guests can make use of the outdoor swimming pool at the clubhouse a few metres away from the villa. A partially open-sided living area is found at Bamboo Villa wherein the interiors are accented by exposed wooden columns, a weathered, traditional floor, and towards the back are the stone walls with tropical flora. Furnished with comfortable sofas and chairs, the living room is ideal for resting or taking a nap, even for snuggling up with your loved one. The open-plan concept lets the fresh air flood the room along with natural light to ensure it is well-lit, breezy, and refreshing at all times. Glass doors allow you a generous view of the gardens and mountains as well! A mezzanine floor is equipped with a TV and a bookshelf lined with bestsellers that you can enjoy from cosy lounge chairs and desk. There is even a swing indoors that can be used for a relaxing moment to yourself. A dining area is found in the living room where guests can enjoy a delicious feast! Although guests have access to a kitchen, you are free to order in from the club’s kitchen for excellent Sri Lankan and western offerings. A warm and welcoming family takes cares of the villa premises so it remains clean and fresh throughout. A manager is on-call if you need anything and will happily make arrangements on your behalf. Guests can use the club’s pool and activities like hikes, horse-riding, etc. can be arranged! Bamboo Villa is the ideal place for a relaxing and rejuvenating holiday as its ensconced by nature’s precious splendour. Hike to the Victoria Reservoir or lakes, visit the golf course for a swing, or just laze in the swimming pool for hours on end. Ultimate comfort is what you get here and you can always drive to Kandy for the Botanical Gardens, Temple of Tooth Relic, Ceylon Tea Museum and other exciting destinations!